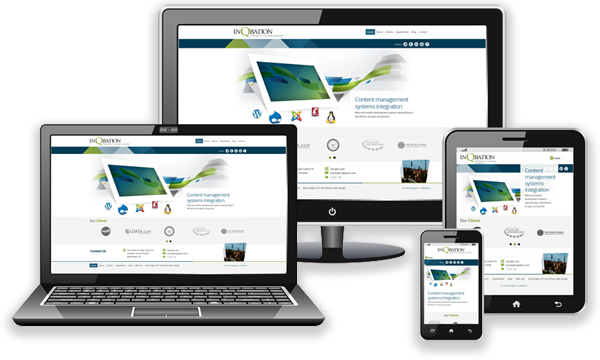 Smartphones, tablets and mobile PC’s have changed the direction of website programming towards optimal user experience. Day by day, the number of devices, platforms, and browsers that need to work with your website grows. With a focus on enhanced user experience, responsive website programming and design represents a fundamental shift in how websites will be built for the some time to come. Responsive website design is an approach of laying-out and coding a website such that the website provides an optimal viewing experience – ease of reading and navigation with a minimum of resizing, panning, and scrolling – across a wide range of devices…from desktop computer monitors to mobile phones. Responsive website design also replaces the previous need to design a dedicated mobile website for smartphone users. Now, instead of designing multiple websites for different screen sizes, you can design just one website that scales up or down automatically to match the device it’s being viewed on. We live in a multi-screen society. Because of this, it’s important for your site to be viewable across as many devices as possible, because you never know what device someone will be using to view your website. Responsive website stats suggest that it’s wise to appeal to both desktop and mobile viewers. The number of mobile viewers now outnumbers desktop, and this number will only continue to rise as global smartphone accessibility increases. Additionally, in early 2015, Google announced that mobile-friendliness would become a ranking factor in its search engine algorithms. This meant that sites that were mobile-friendly would potentially lose some ground in search engine results because they wouldn’t be delivering a good experience to mobile searchers and viewers. The cost of programming a responsive website varies greatly depending on may factors. To get a rough idea of how much your responsive website programming will cost, check out our Programming Cost Estimator, or contact us for a free consultation.